The NYPD has a hard time hiring black men to become police officers because too many have criminal records, the city’s top cop said in an interview. NYPD Commissioner Bill Bratton said it’s a challenge to find hirable blacks because so many African-American men have been arrested. “We have a significant population gap among African-American males because so many of them have spent time in jail and, as such, we can’t hire them,” Bratton said in an interview published Tuesday by The Guardian, a British newspaper with a New York bureau. Bratton put at least part of the blame on the NYPD’s use of the controversial tactic stop-and-frisk, according to The Guardian. He acknowledged the “unfortunate consequences (of) stop, question and frisk,” a policy that hit communities of color hardest. But once the article went online — with the jarring headline “NYPD chief Bratton says hiring black officers is difficult: ‘So many have spent time in jail,’” — Bratton went ballistic. “We’re asking, we’re not even asking we’re demanding, a retraction and a correction because the story was a total misrepresentation of the original story,” said the commissioner, referring to another story published Tuesday by The Guardian. “The original interview was done by one reporter and then they had a second reporter who took the first reporter’s story and totally misrepresented it in the second article,” Bratton told reporters. The city’s top cop went on to double down on his statement that many candidates of color were wiped out by criminal histories. “That’s well known. It’s an unfortunate fact that in the male black population, a very significant percentage of them, more so than whites or other minority candidates, because of convictions, prison records, are never going to be hired by a police department. That’s a reality. 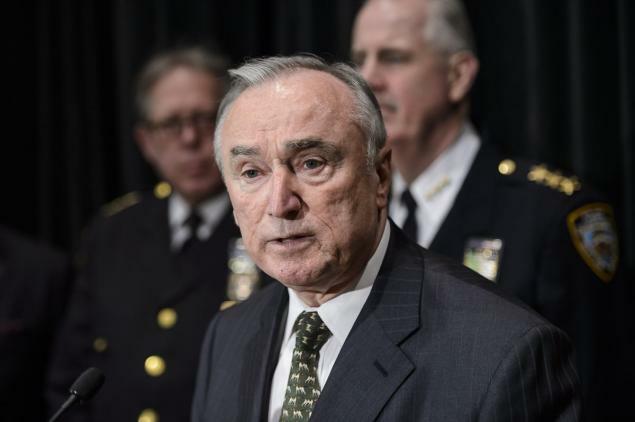 That’s not a byproduct of stop-and-frisk,” Bratton said. The Guardian did not respond to requests for comment. Even with the NYPD’s calls for a retraction, outrage started rolling in from black leaders and elected officials. “There are plenty of African-Americans who haven’t been to jail. It does seem a little insensitive to say that you can’t recruit because most of us are in jail. Where does he get that?” said Rochelle Bilal, vice chairwoman of the National Black Police Association.